We're still waiting for some co-op focused videos/info for the newest Monster Hunter title, Monster Hunter: World, but in the meantime Capcom is providing plenty of other goodies. This week, they've released a number of videos that highlight the 14 weapons you'll be able to use in the game. Choosing your weapon is a key part to the Monster Hunter experience. Not only can you craft some pretty slick looking implements of death from the materials you've harvested from your fallen prey, but there are also strategic elements in play as well as your actions/moves are different and the different weapon types deal different damage. There's also some consideration to be given when grouping up with friends to ensure your weapons complement one another. 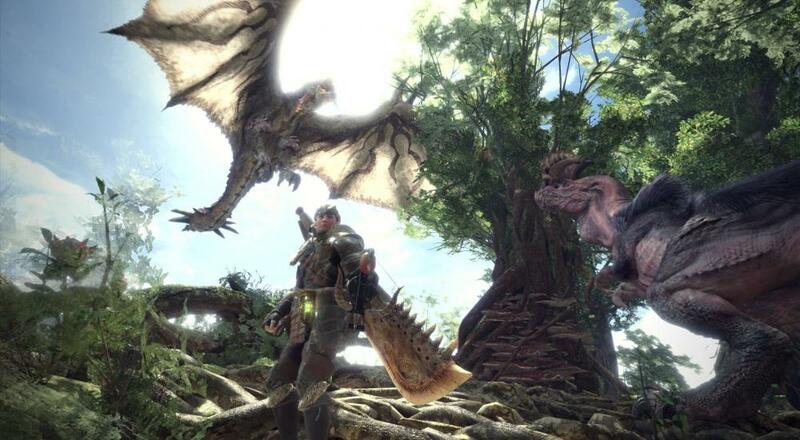 The 14 weapons (Great Sword, Sword & Shield, Dual Blades, Long Sword, Hammer, Hunting Horn, Lance, Gunlance, Charge Blade, Bow, Light Bowgun, and Heavy Bowgun) have been grouped up into three categories (Light, Heavy, and Technical) and Capcom has released a video highlighting each of the weapons in these categories. Hopefully the next set of videos for Monster Hunter: World will (finally) be about the co-op! Page created in 0.3198 seconds.